Steelhead season is underway in Idaho where we’ve been running fishing trips on the Clearwater River. 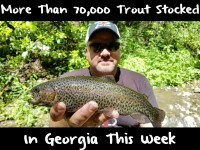 The river has been producing nice numbers of fish. The Clearwater has been kicking out a lot of quality big B-run fish ranging anywhere from 12 to 18 pounds. This time of year these fish are hot and make some line screaming runs and acrobatic leaps. I think it’s going to be a banner year. It’s going to be awesome. Really, the fish are just getting here in small bits right now. They are still traveling up the Columbia. On the other hand, this time last year our averages weren’t good and this year’s B-Run fish are abnormally large. It’s really good to see all these big fish. Last year the B-Runs were like 10-12 pounds. So far, this year our average is 13-14 pounds. We have a healthy, strong, good crop of fish. Dam counts are pointing towards a great season. An email we all received from Joe DuPont, Idaho Department of Fish & Game Clearwater Fishery Manager states that as of 10/7/14, more than 9,000 hatchery steelhead passed over Lower Granite Dam (based on detected PIT tags). These fish are destined for the Clearwater River. This is roughly triple what we saw last year at this same time and 30% more than we saw two years ago. One of the exciting things about the run this year is the vast majority of them are the larger two-ocean fish, which is contrary to last year when most were smaller one-ocean fish. To date, more than 25,000 Clearwater River bound hatchery steelhead have passed over Bonneville Dam, meaning many are still on the way. Fortunately, there will be no need to for emergency rules like we implemented last year to protect brood stock. The limit on the Clearwater for steelhead is two per day with no size restrictions. It’s been abnormally warm around the Clearwater. The water is warmer than the fish are used to. Therefore, we are trolling more than normal. We are focusing on traveling lanes and letting the fish come to us. Otherwise, we are doing the same things we normally would for fall steelhead: using a lot of bait. Whether running bait or plugs our boats are running 12-pound Suffix monofilament line. I’ve been side drifting BorX O Fire eggs, yarn balls scented with Pautzke Red Nectar and anise and back-trolling 3.5 MagLips tipped with a shrimp soaked in Nectar and Red Fire Brine. The lower river has seen plenty of steelhead and has for a while now. Fish are scattered throughout the river system already. In fact, we’ve had boats as far upstream as Orofino and they are catching good numbers of fish up there, too. Another exciting development on the Clearwater is that with combined efforts from the Nez Perce Tribe and IDF&G, we are allowed to catch and harvest Coho Salmon. 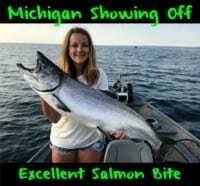 This is the first time in Idaho history where sportsmen are able to harvest Coho. The limit is two per day and the season is open until November 16. Our boats have been landing a few Coho’s a day while targeting steelhead, which is a nice added bonus to the day. Editor’s Note: Toby Wyatt operates Reel Time Fishing. 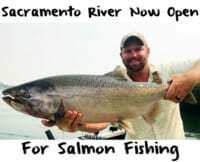 For more info on his outfitter’s guided Clearwater steelhead and Coho combo trips please visit: http://www.reeltimefishing.com/.